Veteran biopharma deal-maker Mark Enyedy has a new role as CEO of ImmunoGen, currently an investor favorite – company shares are up nearly 200% this year. In this interview he discusses corporate restructuring, the evolving role of business development and making new scientific inroads against hard-to-treat cancers. Enyedy, who as head of Shire’s partnering team helped transform the company from an also-ran to a leader in rare disease therapies, discusses the impact of new technologies on the cancer product portfolio as well as other disruptions that will require a far more discriminating approach to obtaining innovations from the outside. As a freshly minted CEO, Enyedy also reviews how he handled the challenges of realigning the ImmunoGen business to lead with its own marketed products and looks ahead to tag the most promising newcomers in the cancer pharmacopeia over the next five years. So what? Still a deal-maker, Enyedy underscores one simple fact in separating the good acquisition prospect from the bad: forget the financial penny-pinching. Therapeutic complementarity trumps all. In taking the top job at the Massachusetts-based cancer specialty biotech ImmunoGen Inc.Mark Enyedy supplements his reputation as a top industry deal-maker with a new assignment: turnaround artist. Since joining ImmunoGen in May 2016, the 53-year-old Harvard Law graduate and veteran of Shire PLC and Genzyme Corp. has pursued a course designed to protect the company’s essential raw material – a sound base in cutting-edge science – while shifting the business model decisively toward a future characterized by a tight focus on next-gen antibody drug conjugate (ADC) platforms that ImmunoGen intends to commercialize on its own. In the following Q&A, Enyedy reflects on his experience as a big ticket deal spinner – supervising Shire’s purchase and integration of two multibillion-dollar companies, Baxalta Inc. and NPS Pharmaceuticals Inc. – and looks forward to the next phase of his transformation plan for ImmunoGen, including the specific CEO leadership strategies required to make it happen. In Vivo: You left a prominent role in business development at Shire to take the post of CEO for ImmunoGen, a leading – but much smaller – biotech with a promising but still nascent oncology pipeline. How do you assess the transition to date, especially regarding the strategic review of the business launched after your arrival in May 2016? Mark Enyedy: The move to ImmunoGen gives me the opportunity to transform a highly productive research enterprise into a company able to commercialize its own novel, clinically differentiated products in the cancer space. I was hired by the ImmunoGen board of directors with a specific mandate to execute this transformation. Now is the time to take the next step – to build a stronger business able to position innovations from our own labs for commercial success in the oncology marketplace. What we have done through the strategic review, completed in September 2016, is to create a vision and strategy to move ImmunoGen from a narrow, platform-based collaborative enterprise to a fully integrated commercial innovator in biotech. Simply put, the mission going forward is to put our own products on the market. In June, we shared some data on mirvetuximab at the ASCO [American Society for Clinical Oncology] annual meeting in Chicago. The data, from a previous Phase I trial on mirvetuxumab, found an overall response rate of 47% and a progression-free survival of 6.7 months in patients who would have been eligible for FORWARD I, which compares favorably with chemotherapy, at 3.5 months in this setting. This gives us a strong sense of confidence that FORWARD I will confirm mirvetuxumab as a breakthrough product for ImmunoGen. Our estimates indicate mirvetuximab has the potential to surpass the $1 billion mark in sales. Our second objective in the review was to inventory additional assets in ImmunoGen’s portfolio and set priorities in line with our commitment to organic growth. In the lead is an entirely new ADC, IMGN779, developed by our R&D team that targets acute myeloid leukemia (AML). It is the first outgrowth of work we commenced a few years ago on a more potent DNA-alkylating payload, the indolino-benzodiazepines (IGNs), which show promise against a range of hematological malignancies. We think IMGN779 is successful in binding and destroying AML cells while being well-tolerated by patients, characteristics we hope will be confirmed by the results of an ongoing Phase I trial. Over the next few years, the plan is to accelerate trial work on a few other ADCs, based on the IGN platform. Overall, the strategic review is explicit about staying closely engaged in the ADC class. 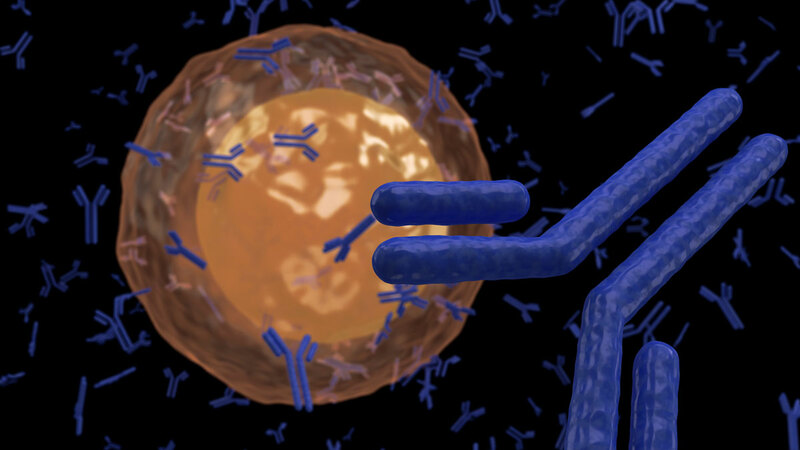 ImmunoGen is already established as a leader in ADCs, with the most comprehensive and sophisticated tool box in the industry, covering antibodies, linkers and payloads. Our intent is to extend that leadership record through additional investments in innovative, in-house research. That’s central to our mission. There are more than 90 clinical programs underway in the ADC field to supplement the few such therapies already on the market. How do you differentiate the ImmunoGen ADC pipeline from others in this hotly contested group? Our unique identifier is the ability to optimize the pharmacokinetic and pharmacodynamic properties of the ADC in the context of a particular tumor type. These properties take into consideration the profile of the antigen, its density, the binding kinetics of the ADC, how it delivers its payload once it enters the tumor cell and, finally, its ability to generate that so-called bystander effect. In other words, the therapeutic differentiator lies in our multidisciplinary approach in optimizing the ADC against a specific tumor target. ImmunoGen’s IGN platform is an entirely new class of payload focused on using DNA as an agent in destroying malignant tumor cells. Other companies are exploring this approach with “cross-linking” agents that bind to both strands of the DNA, which creates a highly potent anti-tumor activity but also can damage normal cells. (Also see "Cancer’s Next-Gen Smart Bomb: Who Will Be First To Weaponize?" - In Vivo, 22 May, 2017.) What our researchers have done is design an antibody molecule that binds to just one strand of the tumor DNA, with equivalent anti-tumor potency while allowing normal cells to repair more quickly. This new class we call indolino-benzodiazepene – a DNA alkylating agent that binds to a single strand of DNA. We’ve demonstrated through preclinical and early-phase clinical work a very broad therapeutic window for this payload platform. In fact, at the American Society of Hematology (ASH) annual conference last year, we were able to show in a preclinical study a 150-fold differential between the potency required to kill the tumor cell compared to the payloads’ more salutary effect on normal cells. Our candidate ADC, IMGN779, is now in its ninth dosing cohort in our Phase I trial. 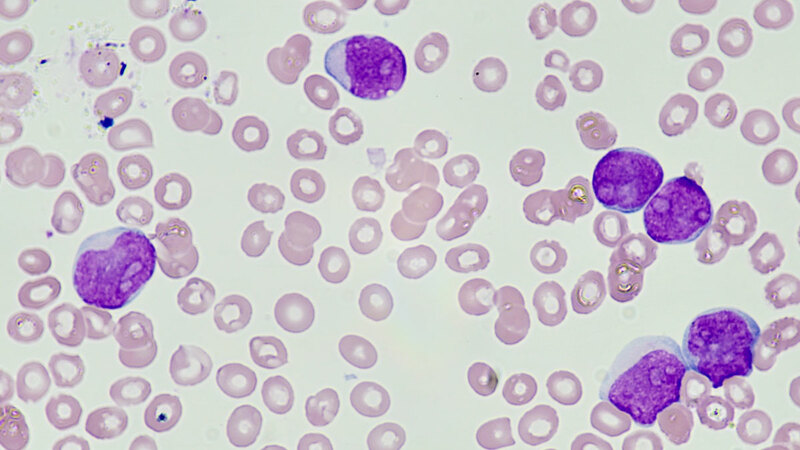 To date, we are seeing no dose-limiting toxicity and have been able to demonstrate this through repeat dosing on the patient study group – one of our patients has received over 20 doses at this point, with encouraging signs of vigorous anti-leukemic activity with tolerable impact on normal cell activity. Our work stands in contrast to Seattle Genetic’s [Seattle Genetics Inc.] trial with a similar cross-linking DNA agent, which had to be suspended due to toxicity issues between the control arm and the new therapy cohort. (Also see "A CASCADE Of Trouble For Seattle Genetics' AML Drug SGN-CD33A" - Scrip, 19 Jun, 2017.) This suggests our therapy delivers a far more effective anti-tumor payload, at minimal harm to healthy tissue. That’s a real differentiator in the cancer space. As a new CEO, can you point to any surprises or challenges in working through the strategic business review? It was completed in near record time, at least in comparison to the decision-making pace at larger life sciences companies. I realized early that its critical to persuade the organization to align around a vision. In our industry, the proposition is relatively simple: business success means having a positive impact on the patient. Our work opens a window on survival for cancer victims who otherwise have few other options. That’s a compelling – even easy – way to frame that vision. Genzyme, where I gained my early exposure to this business, was a patient-centric organization. Everyone came to work with the same question: what are we going to do today to improve outcomes for patients? The second is the importance of being explicit about priorities to execute the strategy. Everywhere I have worked I see that when colleagues understand the choices the company is making, they feel empowered to do – and do more. This is followed up by effective delegation, pairing autonomy with the accountability that often leads to unexpected, innovative levels of performance, especially in teams. One challenge was to translate the alignment I established among my senior direct reports to the broader ImmunoGen workforce. I did this by investing significant time in hosting large group meetings to create conversations and receive feedback. When I arrived at ImmunoGen, we had about 385 employees. Restructuring linked to our strategic business review has reduced this to 300, which was actually ideal in terms of being able to convene everyone in a single space and conduct this conversation in an open, accessible manner. Of course, it was difficult that ImmunoGen’s new strategy required a reduction in head count. We addressed that in two ways. First, the separated staff was extensively briefed on the rationale for the decision. The objective was to ensure that everyone who left departed with a sense they had been treated fairly. I think we accomplished that. Second, for those colleagues who remained, we worked hard to maintain morale and to recertify our bona fides as a compassionate employer with an ongoing commitment to equitable treatment, regardless of what level and stage our colleagues happen to be in their career at ImmunoGen. Specifically, what part of the strategic review entailed a pullback in ImmunoGen business activities? There were four restructuring aspects we had to address. One was the effort to lower our general and administrative expenses, which were a little high compared to our competitive peer set. Another was in manufacturing, where we were overweight due to the complexity of the ADC process. Next, we needed to make changes in clinical operations in order to conduct the trials that regulators expect from us. I add as well the decommissioning of two portfolio ADC programs centered on B-cell lymphomas, one of which we successfully out-licensed in May in a $55 million deal with Debiopharma [Debiopharm Group]. [See Deal] The result is we are spending less, as evidenced by our latest second-quarter earnings report. And we are focusing that spending on higher value projects, such as the prospective launch of mirvetuximab. One program that is generating interest is the clinical study we are sponsoring on mirvetuximab in combination with four different agents: Amgen's [Amgen Inc.] Avastin [bevacizumab], and, with Merck [Merck & Co. Inc.], their checkpoint inhibitor Keytruda [pembrolizumab]. [See Deal] On Keytruda, the plan is to report efficacy data from that arm of the study by the middle of 2018. Efficacy data on the Avastin arm already shows that while progression-free survival for Avastin in combination with chemotherapy was 6.7 months, with mirvetuximab it proved out at 9.6 months. That’s a big difference for the patient. How are you approaching the new role as a CEO? Being CEO is a different job than my earlier experience at Shire and Genzyme. I like the communication aspect of being a leader, articulating a vision and persuading people to rally around it. I have also been surprised by the resilience of this organization in handling the transition from a research-driven operation to a commercial enterprise. That’s a big cultural shift but as a group we made it happen. Perhaps the most interesting aspect of my new job is the engagement with investors. As CEO I am now the focal point for that relationship, whereas at Shire I worked with investors in a more supportive role behind Flemming Ornskov. There is a high degree of accountability in working with investors. It requires being judicious about what you convey to them. I am learning how important managing their expectations can be. Stretch goals are great to create a sense of momentum in the business, but as CEO you must deliver to maintain credibility with this key stakeholder. Never overpromise. Looking ahead to the next decade, can you define what success will look like for ImmunoGen? How do you propose to be measured in terms of company performance? The first performance objective is having our first in-house drug on the market, abetted by a strong commercial launch. Our goal is to launch mirvetuximab in the US by no later than the end of this decade. It’s also very important for me to be able to say we are a business that can reach and serve patients around the globe. We intend to market mirvetuximab not just here in the US but in multiple international markets too. That means in turn we have a high performing, experienced workforce with the ability to create market access for all our products. The next performance marker for me is that we show progress in advancing our earlier-stage portfolio. We’d like to place our second ADC drug on the market before the end of 2022, and then continue to innovate in the oncology space with better pharmacology, well-differentiated targets and innovative ADC payloads. Finally, my goal is to establish a culture at ImmunoGen that fosters innovation. I like coming to work here every day and I wish to make sure my colleagues continue to feel the same way. I want to instill a sense that people here are valued and there is ample opportunity for each colleague to develop professionally, to have some fun, and improve outcomes for the patient. That’s the ultimate measure of what success means to me. In addition to your current position as a CEO, you have an extensive background in business development and partnering. How is this critical outward-facing function changing and what do CEOs now expect from their BD colleagues? I always start a discussion on deal-making by analyzing the numbers. Large deal activity has tailed off a bit in the first half of this year. M&A activity north of $5 billion accounts for less than 10% of the total number of transactions, but well over half of the value. The big spike in M&A activity in 2014 and 2015 did not persist and over the last two years we have seen a return to the normal range. Two factors explain this: one is acquirer concerns about valuation and the other is broader macroeconomic and policy trends. Combined, they raise the level of risk in evaluating an M&A transaction. In the cancer space, we are seeing some very lofty valuations – candidates in the hotly contested PARP class are a good example. It’s hard for me to reconcile their share prices with the underlying market trend for agents in the PARP class. The science is still new and the competition for first-in-class status is intense. Such valuations are making acquirers hesitant, which is reflected in a slow decline in the premium paid to get access to these assets. You can see the premium in some of the larger deals falling from the mid-fifties percent range in 2015 to the lower thirties so far this year. As I noted, look at the numbers. It will tell you the issue of the moment is setting value – appropriately. With reference to the second factor, macroeconomic trends, it has become a damper on prospects for larger transactions. These include political issues like the state of health care reform, pushbacks on drug pricing, tax reform and profit repatriation prospects. All the big players have to calculate the merits of moving forward on major deals when the conditions that drive government regulation are so uncertain. However, if you look at smaller transactions, the situation is different. The number of deals in the first half of this year is still lower than in 2016, but their value is roughly equivalent. Taking this into account, I think we will continue to see strength in the M&A environment overall – though not at the peak levels of 2014 and 2015. The basic element is supply and demand, reinforced by the incentive to achieve maximum efficiency in the use of scarce capital. For smaller companies, the key strategic question is: should a development-stage company pursue full commercialization? Or is it more efficient to sell the business at a financial premium and place those assets within an existing, ready-made infrastructure? The response to this question is dependent on the same demand fundamentals that have endured in this industry for decades. Size and scale are critical in taming intensive market competition, expressed in the need to strengthen drug pipelines, supplement existing revenue streams, address the patent cliff, and enhance the efficiency of research and the supply chain. Consider the top 20 companies: anywhere from 40% to 90% of their discovery and development programs originate from external sources. I don’t see this changing very much in the future. This pressing need for innovation will ensure M&A action overall remains fairly robust over the next few years. What is different is we will see fewer spontaneous, unsolicited “bear hugs” in favor of more structured deals geared to mitigating those valuation risks. Another trend is the proliferation of pharma-to-pharma collaborations, good examples of which include Eli Lilly [Eli Lilly & Co.] and Merck, Pfizer [Pfizer Inc.] and EMD Serono [EMD Serono Inc.], and Amgen and Novartis [Novartis AG]. These are now common but little more than five years ago the reluctance to collaborate within the peer group was still entrenched. And there is the growth of pre-commercial consortia involving big pharma companies and academia to pursue performance and efficiency improvements in drug discovery, trial management, safety reporting and patient registry data. It’s a financial imperative for all drugmakers, regardless of size, to expedite the time from discovery to commercial launch. Working with outside stakeholders at the pre-commercial stage is a good way to benchmark against future class competition. Do you anticipate the same trends to dominate the licensing space? Licensing has been less volatile relative to M&A for both volume and value. What’s important is the increasing reliance on licensing as a deal-making tool. Compared with the period 2006 to 2010, the last five years have seen licensing activity taking an increased share of total deal value. One explanation for this is interest in novel collaborative deal structures that supplement the traditional straight licensing arrangement. The focus of this interest is on assets in the earlier stage of clinical development, which reflects the increasing competition for late-stage assets that tend to be heavily picked over. Looking to the back of the pipeline allows the investor more options to participate when decisions really count. Making the right choices early on is likely to generate higher long-term value for the business. How are these developments shaping the current mandate of the BD function in biopharma? All this makes the role of BD in biopharma more important today. At Shire, I sat on the Executive Committee, where I was responsible not only for strategy but for negotiating and executing deals as well. In fact, we regarded BD as a critical component of strategy. My position effectively meant that strategy and deals were managed as one function. Given the operational challenge to build the pipeline and increase R&D productivity, it’s hard to see how strategy and BD can be separated. BD is also required to demonstrate a much higher degree of sophistication on financial issues. When your board of directors considers paying a premium 50% or more above the current trading value of a public company stock, you had better demonstrate that the deal will add value beyond what either company can achieve on its own. This means in turn that BD is responsible for creating the metrics to achieve cost savings and operational synergies from a transaction. Where are the G&A reductions, staffing cuts and tax savings? But that’s just the beginning. The real savings come from establishing how the therapeutic profiles of each party complements the other. Merging two commercial infrastructures into one holds the most promise in driving revenue synergies. Internally, BD needs to create and sell the rationale and then help execute a plan to make it happen. An emerging component of the BD function is mastery of key technologies like digital. Because digital communication is changing traditional interactions among biopharma companies, physicians and patients, the ability to understand how digital relates strategically to the product portfolio must be a priority for any BD team. Long term, there are many additional functional capabilities that BD will need to master as the complexity of the biopharma business continues apace. Finally, BD is compelled to embrace new operational models to monitor outside developments and speed decision-making. Some companies continue to segment their BD teams into scouts, transaction specialists and integration managers. Others are combining all three elements in one team. My preference is to rely on “endurance athletes” able to go the distance, from sourcing new product opportunities, negotiate and seal the deal, and explain to the top brass how the program can be worked seamlessly into the existing portfolio. This skill set calls for a seasoned generalist, one who is not just a scout but can articulate a vision to the potential partner that is compelling in how two companies will be better off when they join as one. People with this brand of articulate leadership are a great asset. They build momentum, ensure the parties stay engaged, and keep a deal on track. 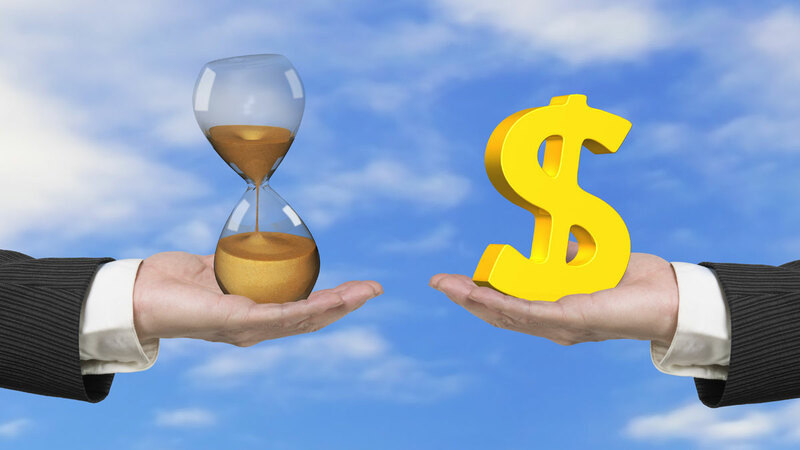 All of this is a time saver – and in this industry, time is money. How do these trends in BD relate to the larger health care environment, with particular emphasis on your core competence at ImmunoGen – the fight to defeat cancer. Demographics indicate that the oncology drug market will continue to grow through the next decade. Cancer is a disease associated with aging; as the population over 65 expands, the larger this market will become. The other factor is the proliferation of new therapies driven by an unprecedented wave of innovation. A clear majority of all drugs currently in development are focused on treating cancer. Many of these are combination products, which create challenges on everything from safety to diagnostics to pricing. In the latter case, society is insisting on a debate over market access and affordability. This means in turn drugmakers are going to face significant, irreversible pressures to demonstrate evidence of value every time they go to market with a new cancer medicine. I am an optimist. I believe the industry is equal to this task. The evidence shows it. Oncology drugs approved during the past decade share a common characteristic in increasing the patient response rate to therapy. Duration of response has lengthened and overall survival for many cancers have risen too. But it’s clear we have to up our game in proving that patients will improve on our medicines enough to satisfy payer needs to keep their overall costs within budget. This industry also must pay closer attention to the preventive aspects of care. In the past decade, cancer deaths in the US have declined by about 20%. Improved drug therapy is part of it, but the leading factor here is screening for early detection of malignancies. Looking ahead, more effective use of data and analytics are likely to contribute to lower mortality as well. Nevertheless, it must be said that the outlook for many cancer patients remains poor. Patients with platinum-resistant ovarian cancer live only 12 months, on average, while those with relapsed refractory AML or late-stage colon cancer have a six-month survival rate. For many cancer victims it’s still a pretty challenging landscape, post diagnosis. We need to do better. What’s next in the treatment paradigm for cancer? How well is ImmunoGen positioned to keep pace? Just a few weeks ago, I presented our five-year plan to the board of directors, looking out to 2022. What we see is that surgery and adjuvant drug therapy will continue as the mainstays in treating cancers. The real progress is going to come from the evidence researchers are compiling on the molecular origins of individual cancers. Understanding the specific molecular attributes of a tumor will drive a set of tailor-made therapeutic choices for each patient. A precedent was set just a few months ago with the immunotherapy Keytruda, which was evaluated and approved by the FDA for use based on the molecular composition of a tumor, rather than its location in the organ where it is expressed. An analogous trend is therapy guided by the assessment of profile mutations, resistance levels and immune phenotype. The “carpet bombing” approach is fading as awareness grows that there is no single magic bullet in defeating cancer. The medical case for combination therapies is destined to grow, with more industry R&D funds being allotted to this space. It also suggests a major role for the next-generation of ADCs, carrying payloads that can hit malignancies hard, in the right place, without destroying healthy cells. ImmunoGen is well positioned with the right products to fill cancer’s emerging pharmacopeia. We combine the best elements of a targeted antibody with potent apoptotic toxins, with a delivery effect that is selective enough to ensure maximum cytoreduction. This gives our drugs a better therapeutic index in clinical use. In addition, we think our candidates will work well in combination, as they have a low toxicity/high tolerability ratio that supplies potency without inducing the additional symptom side-effects often found in combination drugs. The mood here at ImmunoGen is good. But our core disease is cancer. There are no easy victories because every cancer cell is a learning organism. Cancer’s Next-Gen Smart Bomb: Who Will Be First To Weaponize?